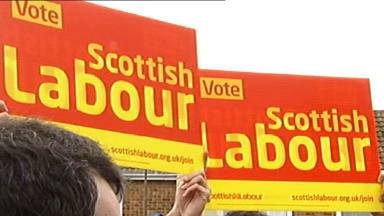 The party has been embroiled in a row with union bosses over candidate selection. Labour is to refer its report on alleged irregularities in the selection of an election candidate in Falkirk to the police, a senior party source said. The party has been embroiled in a row with union bosses over the selection of a candidate to replace Eric Joyce MP, who was Labour's candidate at the last election but is no longer a Labour member. A Labour source said on Friday: "After consulting the party solicitor yesterday, we will hand our Falkirk report and other evidence to the police this afternoon." 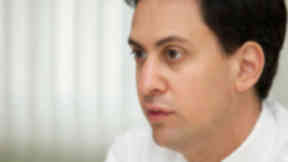 The revelation that the party is involving the police in the issue came as Labour leader Ed Miliband insisted he would not allow the party to be "undermined by the behaviour of a few individuals". 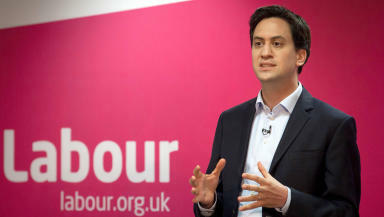 Mr Miliband called on Unite general secretary Len McCluskey to condemn "malpractice" in the Falkirk contest, insisting that the union should not be defending the "machine politics" allegedly used in an attempt to swing the selection for its favoured candidate. On Friday, Mr McCluskey said he had "no trust" in the party's handling of the Falkirk issue, after candidate Karie Murphy and constituency chairman Stephen Deans were suspended from the party and election co-ordinator Tom Watson - who has close links with Unite - stepped down from the shadow cabinet. The union boss rejected as a "smear" allegations that Unite sought to fix the selection by cramming the constituency with members whose subscriptions it paid, sometimes without their knowledge. Speaking at a charity event in London, Mr Miliband said: "The Labour Party I lead will select its candidates in a fair and transparent way. We will act without fear or favour. "Instead of defending what happened in Falkirk, Len McCluskey should be facing up to his responsibilities. He should not be defending the machine politics involving bad practice and malpractice that went on there, he should be facing up to it." "Let nobody be in any doubt, there is only going to be one outcome to this: the Labour Party will act in a way that upholds the integrity of our party, the integrity of our party members and the integrity of ordinary trade union members. "I will not allow the good name of the Labour Party to be undermined by the behaviour of a few individuals."